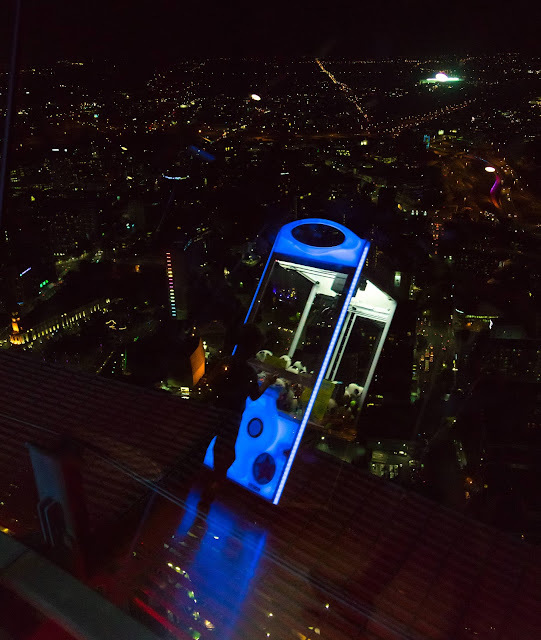 Photo from inside the Sky Towers observation platform - children's entertainment just in case the views from far above the city are not stimulating enough. The towers windows slope back and create odd refections of the inner walls as in this case. Autumn leaves from the back yard.